Barnsley's home clash with Millwall will kick-off at 1pm, the two Sky Bet Championship clubs have confirmed. Earlier in the day, the South Yorkshire club accused the Lions of causing "unrest" after a potential change was announced by the Londoners. Millwall had been advised by South Yorkshire Police that they were looking to bring kick-off forward to 12.15pm, but a 1pm start has now been agreed. The Lions' initial statement read: "The club has queried the reasoning and justification for this but until confirmation is announced supporters are urged against booking any transport." 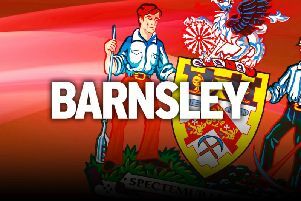 Barnsley then put out a statement of their own on their website, which said: "We would like to apologise to our fans for finding out about a potential fixture change, through the away side. "Barnsley Football Club would like to clarify a recent statement from Millwall Football Club. "There has been a discussion regarding a potential change in kick-off time for the fixture against Millwall at Oakwell on March 17. The match is currently scheduled to kick-off at 3pm, but there has been a request from South Yorkshire police to change this to an earlier time. "Barnsley Football Club will only release information when it is a fact. The release of this information prior to it becoming a fact has now created 'speculation' and caused unrest amongst fans. "This information was released without any prior contact to Barnsley Football Club from Millwall and we can only apologise for this being released."